Know what you like? 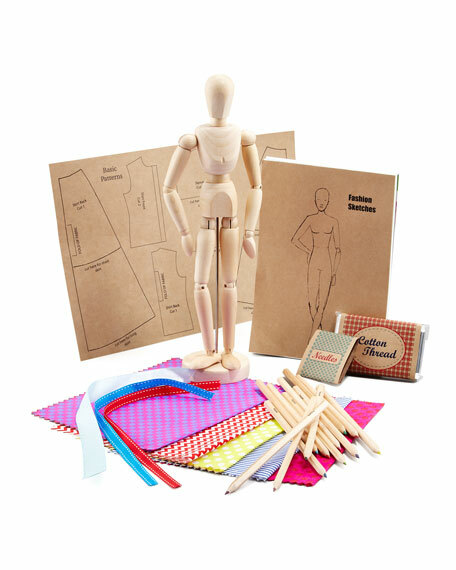 Design, sketch and make your own unique fashions for your mannequin! 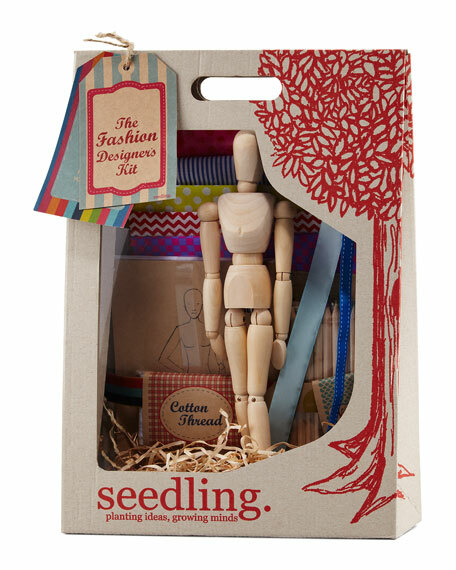 Kit contains: assorted fabrics, poseable wooden mannequin, basic pattern shapes, sketch book, colored pencils, sewing needles and cotton, assorted ribbons, tips and instructions. Recommend for ages 8 and up.